American Homestead is back again—this time with charming small projects you can sew anytime, anywhere. 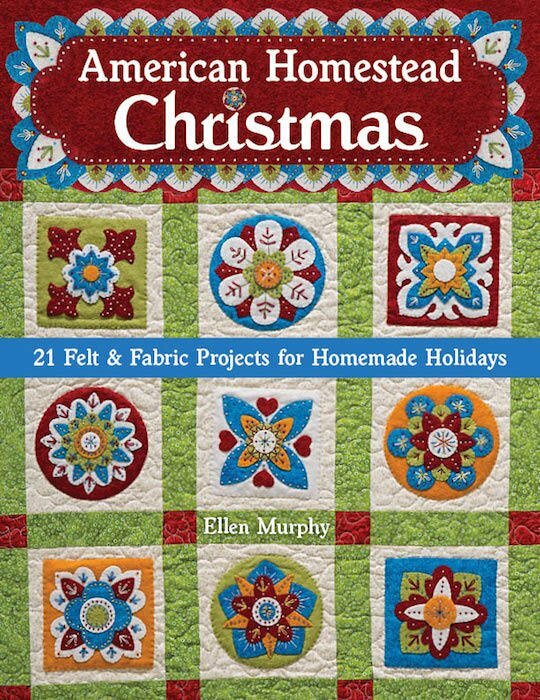 Ellen Murphy shares 21 embroidered felt and quilted designs for the holidays in her signature folk-art style. These classic patterns can be stitched up in alternate colors to be suitable all year-round. Festive projects, from all-new felt ornaments to cheerful stockings, make treasured gifts for family and friends.